Winter is coming and Glamglow is treating us to smoothing and exfoliating lip balms. Poutmud Wet Lip Balm Treatment and Poutmud Fizzy Lip Exfoliating Treatment are going to provide your lips with moisture and relief. If you use them regularly, lip make-up will be trouble-free. See it for yourself! Although it looks like a normal lip balm, Poutmud Fizzy Lip Exfoliating Treatment offers extraordinary properties. It removes dead skin cells, smooths your lips, removes small wrinkles and dry skin. What is more, it fights free radicals, deeply nourishes and moisturises, prevents damage, protects during cool or hot days. What does Poutmud Fizzy Lip Exfoliating Treatment contain? 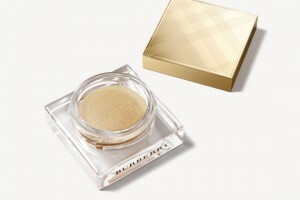 The ingredients are: oils, plant extracts, cosmetic butters and exfoliating substances. These include: jojoba oil, hibiscus extract, murumuru butter, lichee extract, sunflower seed oil. How to use Glamglow lip balm? Apply a small amount to your lips, then massage for a few seconds. Next, wash it down with warm water. Use Poutmud Fizzy Lip Exfoliating Treatment two or three times a week. 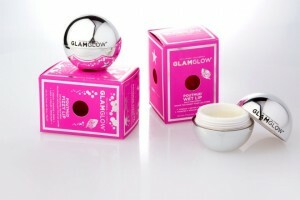 The other of Glamglow lip balms excellently moisturises, conditions and nourishes. It is ideal for parched lips and damaged skin. The product prevents irritation, protects from wind and low temperature. It contains lots of natural components, including: sweet almond oil, beeswax, apple seed extract, coconut oil, babassu and glycerol. Apply Poutmud Wet Lip Balm Treatment as often as you like. You can use it in the morning and in the evening. Glamglow offers some more interesting products. For example two lip glosses and a highlighter. Plumprageous Matte Lip Treatment, Plumprageous Gloss Lip Treatment and Glowstarter Mega Illuminating Moisturizer – thanks to natural ingredients, they deeply nourish the skin of lips. Using these products is very easy and pleasurable. Effects? Smooth, soft and pretty lips. 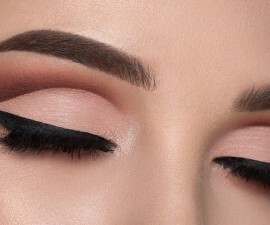 Edible cosmetics? 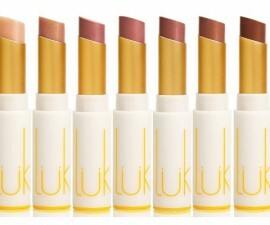 Try out Beautifood Lip Nourish lip gloss from LÜK.